At Artisan Dentistry, what you are promised is what you get. 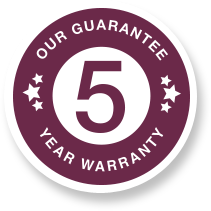 We are so sure of your satisfaction that we offer a 5 year warranty on all of your dental work. You’ve heard the statement if it sounds too good to be true, it probably is. In many cases, what we are promised often turns out to be all hype and no help. At Artisan Dentistry we prefer a different attitude, What you’re promised is what you get. This philosophy has helped our practice grow and prosper. When you choose Dr. Paul Mathew for your dentistry needs, you see a practice where honesty, integrity and concern for your comfort is evident in everything Dr. Mathew does. 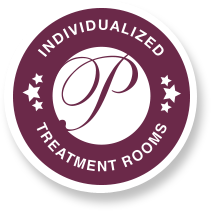 What you get is the latest advanced treatments, the best state-of-the-art equipment, a doctor/patient relationship that is second to none and team who truly serves your needs beginning with your very first phone call. At Artisan Dentistry, there’s no hype. We deliver what we promise. That’s how Dr. Mathew can offer a 5 year warranty virtually unprecedented in the dental industry. If anything should go wrong with work performed by Dr. Mathew (for example, a crown becomes loose), Dr. Mathew will fix it free of charge for 5 years from the date of the original work as long as you continue with your regular 6 month preventative care cleaning and check up for the duration of the guarantee. That’s our proof of commitment to your health and confidence in our work. When was the last time you can remember a medical professional offering a warranty on their work? At Artisan Dentistry, it’s easy to offer this warranty, because we pride ourselves on truly caring for each patient and we firmly believe that means standing behind our work 100%. If you and your family want quality cosmetic dental care at affordable prices and appointment times that suit your busy lifestyle, give Artisan Dentistry a try. We’ll schedule your consultation at your convenience, and you’ll really like our ‘No Wait’ policy. Imagine- the doctor will actually see you at your scheduled time! It’s just another way Artisan Dentistry in Salem, New Hampshire and in Newburyport, Massachusetts puts patients first.